Simon Rosner became the first qualifier to reach the main draw after winning a bruising, brutal battle lasting 70 minutes. It was a high-quality contest with some dazzling shots throughout, occasionally interrupted by Mark Krajcsak's verbal disputes. Krajcsak was keen to put on a good show in front of a camera crew from Hungarian TV. Krajscak, ranked 47 in the world, and Rosner (ranked 35) showed what to expect with an opening rally of more than 100 shots. With both players driving solidly and covering the court with ease, it was always going to take something special to finish a rally. Rosner caused Krajcsak some discomfort with tight little boasts in the front right corner and Krajcsak responded with some carefully concealed and well delayed crosscourt flicks. After Rosner edged ahead at 9-7, his attempted long drop from the back of the court clipped the tin and he let Krajcsak back in. The Hungarian forced the tiebreak but Rosner finally moved clear to win it 13-11. The second game followed a similar pattern and another tiebreak ensued. 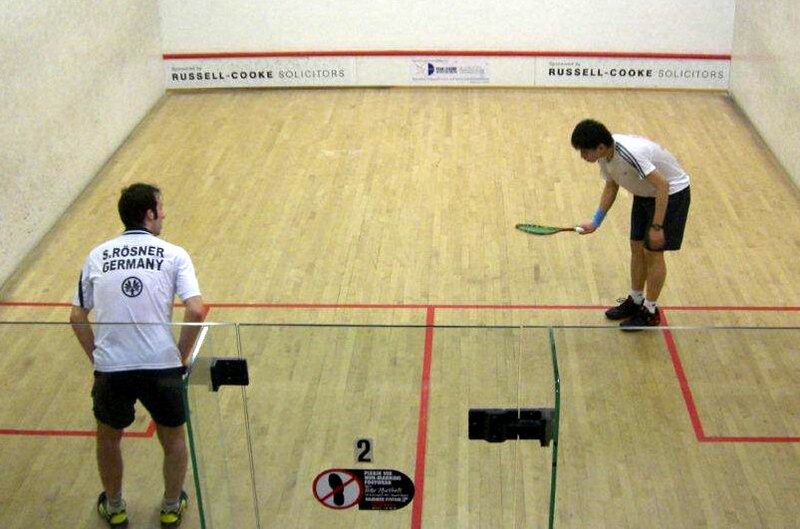 This time Rosner conceded two crucial penalty strokes to gift the game to his opponent. From 6-6 in the third, Krajcsak seemed to lose his concentration and Rosner closed it out 11-7. Krajcsak was angry at a penalty stroke in the closing stages and received a conduct warning for dissent as he left the court. Krajcsak led 6-2 in the fourth game but Rosner responded with a spell of sustained pressure to win eight of the next ten points to reach match ball at 10-8. Rosner struck a forehand volley into the tin to make it 10-9 and we all wondered if Krajcsak would force another tiebreak. But not this time. Rosner closed out the match and punched the air in delight as Krajcsak continued complaining about a disputed pick-up in the front right corner. Swiss No.1 Nicolas Muller won another marathon encounter, fighting back from match ball down to win a fifth game tiebreak against Channel Islander Chris Simpson. This match lasted 73 minutes and Simpson, ranked 48 in the world, came desperately close to beating an opponent ranked six places higher. Simpson took the opening game playing tight, disciplined squash and was rewarded for keeping the ball in straight lines. The tall, stylish Muller did the same, but even tighter, to win the second game. Simpson lost focus in the third game as his conversations with the referee grew longer. Muller kept his mouth shut and his shots tight to go 2-1 up. Simpson worked his way back into the fourth game with some superb squash and maintained his focus to win 11-3. But Muller hit back in the fifth to open up a lead of 5-2 and he seemed to have the match in the bag as he progressed to 8-4. Simpson is a tough fighter and produced a superb spell of controlled squash to reel off six points in a row to hold match ball at 10-8. However, he failed to convert his big chance and Muller drew level to force the tiebreak. 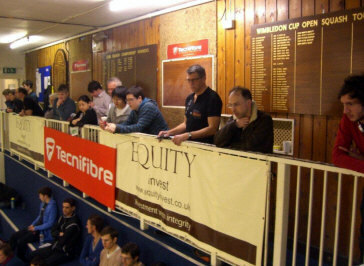 Muller then held match ball at 11-10, Simpson drew level, but Muller held his nerve to win it 13-11. Chris Ryder produced a typically solid display to clinch a place in the main draw. He was in the groove right from the start, winning the first five points against an opponent who may have understandably been suffering from fatigue after a marathon match yesterday. However, Mathieu Castagnet suddenly sprung into life and reeled off a succession of points to level at 6-6. Ryder pulled away again to 10-7 but Castagnet hit back once more to force the tiebreak. Ryder showed steady nerves under pressure to win the tiebreak 12-10 but Castagnet dominated the closing stages of the second game to win 11-6 from 6-5 down. The physical effort Castagnet had to invest to win that game clearly took its toll as Ryder made steady progress throughout the third game, leading 9-1 and surviving a late flurry of French resistance to win it 11-5. Ryder again built up a commanding 7-3 lead in the fourth and although Castagnet fought back to 8-6 the Englishman, ranked 40 in the world, delivered the coup de grace with the final three points. To the English spectators packed into the gallery at Wimbledon, it was a small measure of consolation for the rugby defeat in Paris yesterday. The often volatile Davide Bianchetti gained the final place in the main draw with a disciplined and stylish display against Julien Balbo of France. Spectators anticipating one of his typically flamboyant outbursts had to wait until the middle of the third game for the Italian to unleash a Vesuvius-like eruption towards referee Jos Arts over a disputed let call. We then had the full Oscar-winning theatricals as Bianchetti, with arms outstretched, did two laps of the court. He was clearly putting in a lot more effort and passion than his beloved Juventus football team did on their visit to nearby Fulham on Thursday night. Some players fall apart mentally after venting their feelings at the referee but, from 5-5, Bianchetti won the next six points to close out the match, despite some phenomenal retrieving from Balbo. The first game was almost a disaster for Bianchetti as he allowed a 10-5 lead to slip from his grasp. Balbo put together a succession of magnificent rallies to draw level at 10-10 but Bianchetti regained his composure to win the tiebreak 12-10. Bianchetti did not make the same mistake in the second game, building up an 8-1 lead and closing out the game 11-4. The draw to complete the first round line-up paired Chris Ryder with top seed Nick Matthew in an all-English battle. First up on Monday night is Germany’s Simon Rosner against former world champion Thierry Lincou of France. On Tuesday, Davide Bianchetti meets reigning champion David Palmer of Australia and Switzerland’s Nicolas Muller is drawn against No.2 seed Gregory Gaultier of France. "That's two tournaments in a row that I have lost by the same scoreline at the same stage in qualifying. "It hurts so much because Malaysia and Canary Wharf are two of my favourite tournaments and favourite venues. I've got to learn to convert those situations into wins." Next week's ISS Canary Wharf Squash Classic is a total sell-out. 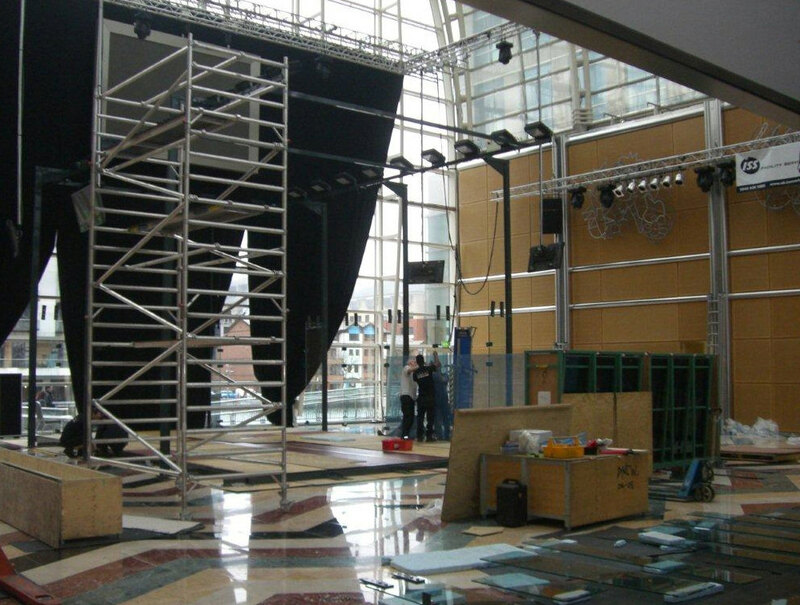 Every session of the tournament has been sold out for this PSA World Tour Five Star event which runs from Monday to Friday (March 22-26) at Canary Wharf's spectacular East Wintergarden venue. Organisers are claiming a record for a major world-ranking event. Peter Nicol, the tournament promoter, said: "This is a first for us in the seventh year of the competition and we are pretty sure this is a first anywhere in squash." Sixteen hopefuls assemble at Wimbledon Racquets & Health Club this afternoon as qualifying for the seventh Canary Wharf Classic gets under way. 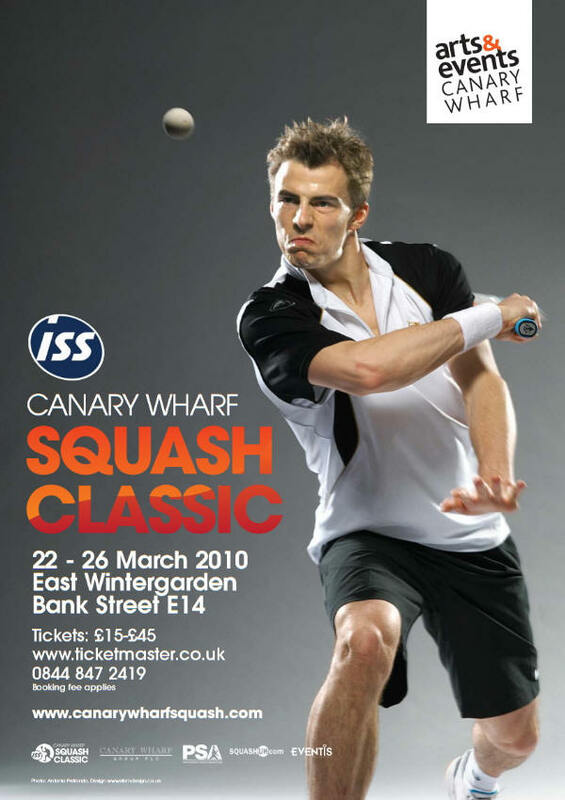 Hungary's Mark Krajcsak made a flying start to the ISS Canary Wharf Classic qualifying competition, sweeping past England's Neil Hitchens in straight games. Playing fast, attacking squash, Krajcsak moved the ball and his opponent around the court in a dominant display. Germany's Simon Rosner overcame a nervous start to power past Max lee of Hong Kong. Lee won the opening game 16-14 on a tiebreak but Rosner emerged for the second game with a more solid game-plan. He produced almost error-free squash to race through the next three games and will need to maintain that level of performance against Krajcsak in tomorrow's qualifying finals. Swiss ace Nicolas Muller overcame a tired-looking Eddie Charlton in a gruelling five-setter. Charlton lost a tight first game after taking an early lead, and almost surrendered the second before finally clinching it on a tiebreak. Charlton squeezed home in the third with a nick on game ball but Muller maintained a high level of consistency to take the fourth game. He powered through the fifth game with minimal resistance from a clearly wilting opponent. Chris Simpson booked his place in the qualifying finals against Muller after beating Joe Lee in a hard-fought 82-minute marathon encounter. Simpson won 9-11, 11-4, 17-15, 12-10, with the scoreline clearly reflecting the closeness of the match and the physical investment made by both players. The third game tiebreak was a brutal affair, with the Guernsey player Simpson edging it 17-15. The fourth game was a similarly close battle with Simpson winning another tiebreak 12-10 to book his place in the qualifying finals against Muller. Chris Ryder was too sharp for a strangely subdued Kashif Shuja. The New Zealand number one has a sublime touch but was clearly lacking in the mobility department as Ryder eased home in straight games. Ryder sneaked a second-game tiebreak 12-10 and Shuja had little left in the tank during a one-sided third game. Ryder fired in a succession of sharp, fast boasts that Shuja either saw late or decided not to pursue. Italy’s Davide Bianchetti eased past his English Premier League team-mate Ben Ford. The two play for Surrey Health and Rackets Club and Ford started in a very friendly fashion as he allowed Bianchetti to open up a 9-2 lead in the opening game. The Kent county captain began to get some points on the board but had given his opponent too big a lead to think about winning the game. The second was a much closer affair and Ford struck some superb winners to take the game to a tiebreak before two errors allowed the Italian to win 12-10. The effort clearly took its toll on the 34-year-old Englishman as Bianchetti powered home 11-1 in the third, with Ford receiving a conduct warning for racket abuse in the process. An all-French encounter finished with Mathieu Castagnet overcoming Yann Perrin in a 77-minute see-saw battle. In an extraordinary match, Perrin led two games to one but lost the fourth without securing a single point as his exertions caught up with him. Castagnet opened up a solid lead in the fifth game and withstood a ferocious recovery by his compatriot to clinch victory. Another Frenchman, Julien Balbo, secured the final berth against Bianchetti by beating England’s Robbie Temple in a scrappy, ill-tempered affair. Temple received a conduct warning for arguing with the referee as he lost the third game from 7-6 up. Balbo then took complete control to clinch victory in 55 minutes.